A pioneer of the Seattle modern dance scene returns to celebrate his 75th birthday with solo performances. After 75 years, Bill Evans keeps on tapping. Bill Evans put Seattle dance on the national stage in the late 1970s with Bill Evans Dance Company’s electrifying modern dance styles. All these decades later he’s still at it: teaching, choreographing, and, yes, dancing. 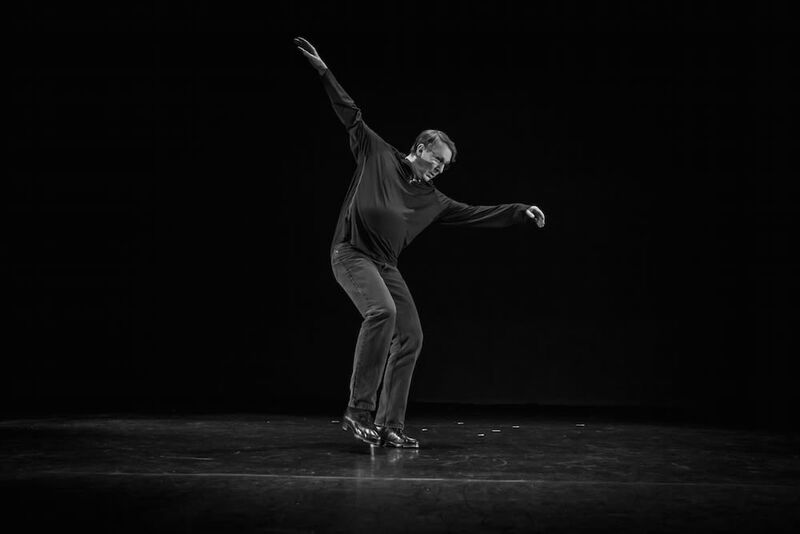 To mark his 76th birthday the ever-spry Guggenheim Fellow returns to Velocity Dance Center for solo performances on February 20 and 21. He'll also sit down for a discussion about local dance history with KT Niehoff and critic Sandi Kurtz at Velocity on the 21st. For our latest Fiendish Conversation, we talked to Evans about still performing at 75, the legacy of Bill Evans Dance Company, and his most memorable Seattle shows. What is your favorite thing about the solo program that you’ll be performing at Velocity? I’m doing two different kinds of work in this program. During the years of when I lived in Seattle, I was mostly a modern dancer. My company and the work I did was mostly about modern dance. But I’ll be 76 in April, so these days I performed kind of a fusion of modern dance and rhythm tap dance. I’ve been a rhythm tap dancer my whole life as well. So two of the pieces I’ll be doing are a fusion of rhythm tap dance in my lower body and my contemporary modern dance style in my upper body. And then two of the other pieces are text driven, I speak as well as move; they’re acting pieces. Not everyone keeps performing once the reach the level of teaching and having their own dance company. What drives you to continue performing? I love teaching and I’ve choreographed something like 300 works now, but performing brings me something that nothing else does, and that’s that aliveness in the moment. When I perform, I am more fully alive than at any other time. So I love it. I love what it brings me. I love the vibrancy in the moment. I’ve performed my whole life, and I’m not sure how much longer I will be able to. It was my goal to continue to performing through my 75th birthday, which was last April. I set up a tour to perform that concert in cities that are important to me, and Seattle will be the last one. Looking back on your time in Seattle, what do you feel is the legacy of Bill Evan Dance Company? I came to Seattle after I had already been touring nationally for a long time, so almost immediately, my first year there, I established a six-week summer program. Eventually it was called Bill Evans Summer Institute of Dance. About 300 college-age dancers from all over the U.S. came to Seattle every summer to study with me and my company. And many of them loved Seattle and either moved back when they graduated from college or stayed there. So when I moved on, there were a great many people who had moved to Seattle either to dance in my company or to study with me and my company that remained behind: Wade Madsen, Pat Graney, Kitty Daniels, Shirley Jenkins. Lots of the larger modern dance community when I left had come to Seattle originally from elsewhere to either study or perform with me. How do you feel like Seattle influenced your approach to dance? I fell in love with the Pacific Northwest. I had grown up in Utah, in kind of a desert environment, and I first visited Seattle when I was 12. I remember falling in love then with the green, the water, the mountains, the landscape; that natural world was so enticing to me. I taught for many years in the summer at Port Townsend, up until very recently I kept going up there too. When I actually lived there, I spent a lot of time out on the Olympic Peninsula. I had an oyster farm. So the natural world of the Pacific Northwest is just very, very important. My work is very fluid, very dynamic, and a lot of that started when I was in Seattle. I choreographed pieces that were inspired by the colors, the smell, the emotional qualities of the natural world in the Pacific Northwest. When reflecting back over your 75 years, are there any performances that stick out from your time in Seattle? A couple of the highlights in my whole life are the two years—‘78’ and ‘79—when my company collaborated with the great jazz musician Bill Evans and the Bill Evans Trio. We performed in Meany Hall at the University of Washington. The first year we called the piece Double Bill, and the second show we called Mixin’ It Up. Those collaborative performances with Bill Evans and his side men, were really life changing for me. He was really a genius. And immediately after that in ’79 and ’81, I brought in Cynthia Gregory, who was at that time a great Ballerina with the American Ballet Theatre, and Christine Sarry, and they did collaborative performances. Both were kind of a life changing experiences. Those are memories that I continue to find direct pleasure from. Just that, I love Seattle. Seattle’s been a really important part of my life even though I left there in the end of 1983. Even though I’ve only lived there for about eight years, for many, many, many years I went back every year. The school that I directed was 19th Avenue East and the old Russian Community Center. And for a number of years after I left people who had danced for me kept that school running. So I’d go back two or three times a year and teach there. I’ve gone back many times to work at the University of Washington. So Seattle and the Pacific Northwest continue to be a really significant part of my life. It’s just a part of the world I truly, truly love, and I treasure the memories of the time I spent there. And I have a good many friends who still live there. I love the scenic setting, the cultural aliveness in the city. I’m happy that Velocity was willing to do this for me to kind of wrap this up; this kind of a nostalgic tour for me. I performed at this concert in Winnipeg, where I moved after Seattle. I performed it in Albuquerque, where I lived 16 years. And Salt Lake City, where I was before I moved to Seattle. And Rochester, where I was for 10 years. It’s just great to kind of wrap up this little tour in Seattle.